Friends of PEC and Celebrators of Creation! I have enjoyed the special energy of Earth Day week! Creation sings!!! And General Assembly is coming to Portland, Oregon!!!! PEC is excited to host a double booth with Fossil Free PCUSA! And just off the press – it is booth 208-210!! PEC and FFPCUSA have invited special guests to join us at the booth to share their amazing work – including Abby Brockway, Environmental Advocate Extraordinaire, as well our strong ally, the Presbyterian Peace Fellowship represented by the incomparable Rick Ufford-Chase and Emily Brewer. Wow! Please come by the booth to see us!! Our luncheon on Tuesday, June 21, at noon will be at the First Presbyterian Church, near the convention center. We are excited to share our award winners of the William Gibson Eco-justice, Restoring Creation, and the NEW Emerging Earth Care Leader Awards. Winners will be presented with a certificate and free registration to our 2017 PEC Conference at Menucha Conference Center in September 2017. The presentation at the luncheon, “Beyond Paris: Rising Waters Yet Rising Hope”, will be led by our colleagues in ministry– Rebecca Barnes, Bill Somplatsky-Jarman (current GA staff) and Gary Payton, previous GA staff, who all attended the Paris Climate Change talks. The luncheon food will be excellent as well, including local, sustainable foods. • Earth Care Congregations Tour: A Resource for Action and Recognition Forum (June 23). We ask for your prayers during GA for our presence in support of eco-justice. We ask for special prayers and advocacy for overtures which PEC members have written and supported and are being brought to two committees…both Immigration and Environment AND Social Justice Issues. Check these out (see links in the sidebar), along with other overtures, at www.pc-biz.org. In this very difficult time of so much degradation of people and planet (including all living beings, and water, soil, and all the elements…) we are grateful for those of you who hold Creation at the center of their heart and soul. Let us continue to surround the Earth with our VERY best efforts to nurture and heal our Home, now and in all times and places. Rev. Jay Banasiak lives in Chattanooga, TN, where he woodworks, composes/arranges sacred music, and cares for his mother who has ALS. His woodwork can be viewed on his Facebook and Etsy pages for Jay Ban Works. I inherited a stack of wood. A stack of wood is not one's typical item of inheritance, but this stack of wood possesses a story that began for my family well over a century ago. My grandfather grew up on a farm in Durham County, North Carolina, during the early 20th Century. His family was one of many merchants and farmers in that area of central North Carolina. A large black walnut tree provided walnuts and shade in the front yard of their farmhouse for two generations and possibly more. In the early 1940s, the aged tree fell over and remained recumbent in the front yard for a handful of years, before my grandfather had the tree milled and stacked in the basement of his and my grandmothers' first home in Durham. The stack of wood traveled to their second home in the mid-1960s, which by then included some oak and cedar sprinkled in, where my grandfather began to work the wood into toys, small accessories, and beautiful furniture, and where the rest of the stack remained until 2007...when I inherited it. My love of woodworking stems from both grandfathers and my father, who were all hobbyist woodworkers. 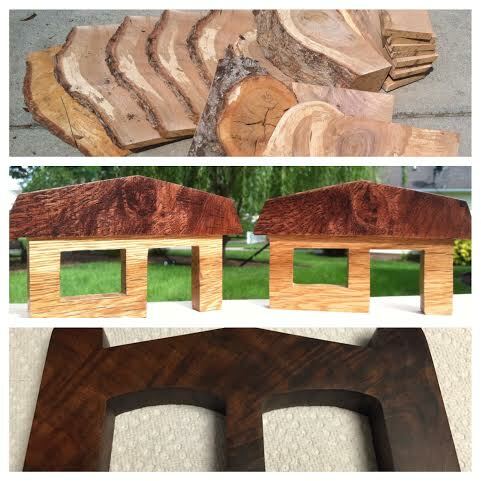 I have been a hobbyist woodworker for several years and only recently increased my work output and began selling it. This stack of beautiful black walnut lumber that has lived through several generations of my family supplied my woodworking starting point and is worth more to me than the monetary value. Through careful refinement of three generations, the stack of wood has yielded practical accessories of lamps, candlesticks, bowls, toys, and more; a stunning baby cradle that I slept in; and now all these years later, it graces the homes of fellow Presbyterians as cutouts of the Montreat Gate, Christmas ornaments, and the Seal of the PCUSA. The story the wood tells lives on in the works of art created from it and inspires me to continue the family tradition of woodworking. Reclaimed wood, such as this black walnut tree, is not my only source of wood for my woodworking, but it is certainly my preferred choice. In caring for God's creation, I am drawn towards reclaiming (or salvaging) wood that has either fallen due to natural causes, was intentionally felled for other reasons, or removed from old buildings. The same principles of reclaim/recycle/reuse that we apply to the goods of our daily waste can be applied to the goods of creation. If I had the storage space, I would grab all the salvaged wood I could. (Although, if I had an old, wooden barn that could hold additional stock of wood, my personal dilemma would be choosing between using it to store the wood, or carefully taking it apart and reclaiming the wood for new use!) Such wood has a story of its own that begs to be remembered and told. In addition to the black walnut, I have reclaimed logs, planks, and chunks of wood from several places which are a part of my story: white pine I planted as a 6th grader but removed for safety, maple I pruned from the front yard, and white oak removed by TVA from the woods behind my childhood home; red oak from my grandparent's yard removed after a storm; maple taken down at my former congregation during a recent building expansion; red oak & pine felled for safety at Massanetta Springs Presbyterian Conference Center; as well as poplar lumber salvaged from recent renovations in the Anderson Auditorium at Montreat Conference Center. My friends know enough of my love of reclaiming wood that several have offered me additional logs and planks as well. The elements of creation that watch over us all have a story to tell as they burst into song and clap their hands. Though they cannot use words, the stories that these trees know keep us connected to creation, if we take the opportunity to listen. 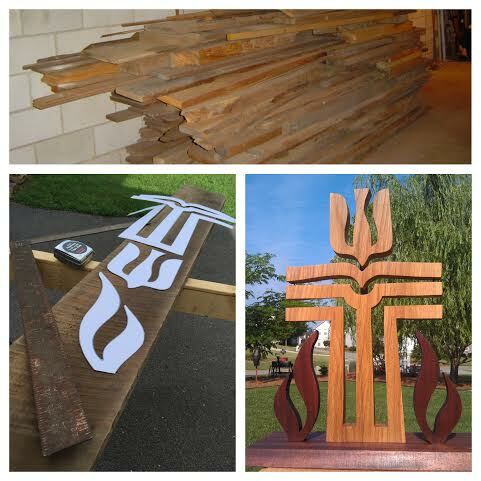 Every piece of wood that is salvaged reclaims a story that God intends to be shared. When we reclaim the trees felled as the results of natural causes, laid waste by urban cutting, or removed for safety or other intentional reasons, we are giving grace to God's creation and salvation to the stories held within. The tree itself may die, but the wood left behind becomes a book of stories that acts as the next vessel to carry the tree's knowledge. Many people share stories about the trees in their lives: trees they climbed, trees that provided shade, trees that were beautiful to look at, and more. Someone may say, “That's a pretty piece of woodworking,” but when the owner/artist can respond, “Thanks...it is made from wood that comes from a tree that once stood in the yard of my grandfather's childhood home,” the piece becomes all the more historical, special, and theological. Spring has arrived! What a blessing! We are grateful for this time to be refreshed and rejoice!! It is also a time to observe Earth Care (on Earth Day, April 22). It’s a great time to join or renew your membership in Presbyterians for Earth Care – and is our annual membership renewal month! New members can join for just $25. • A network of Presbyterians and friends around the US and beyond with similar eco-justice concerns. • A national group that addresses eco-justice concerns in the congregation and larger community. 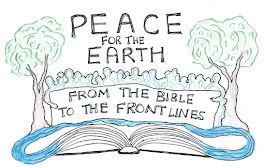 • A nurturing network that connects, equips and inspires Presbyterians through our biennial conference, Lent and Advent Devotionals, and bi-weekly e-newsletters that include alternating issues of “Earth, Action, Reflection, Theology and Hope" (EARTH) and PEC news. 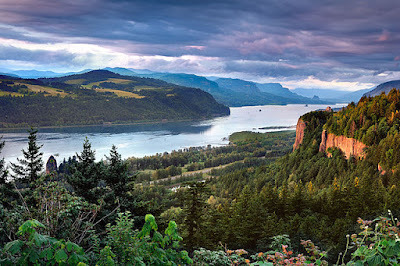 • One of six PEC regions with your own Regional Representative who can connect you to others in your area, answer questions about PEC, and help you find the resources you need to advocate and care for Earth. 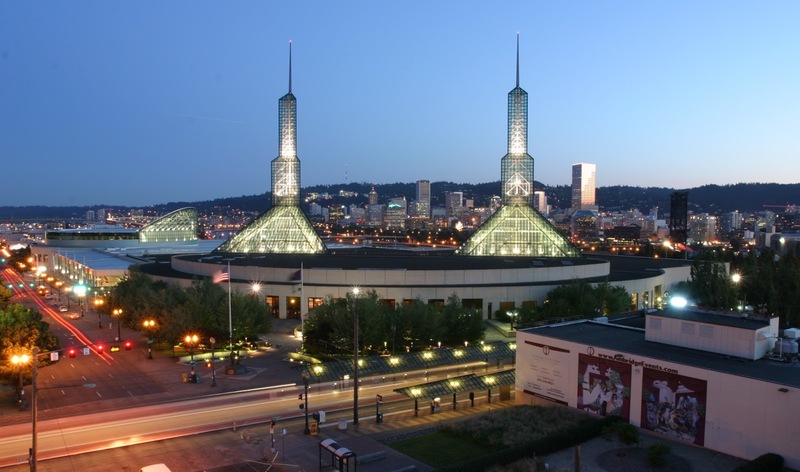 Presbyterians for Earth Care will represent you at the 222nd General Assembly this summer in Portland, Oregon. 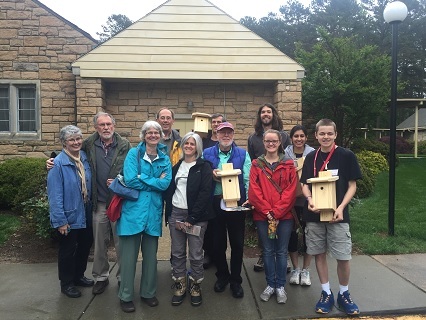 We have been working with our members and partner groups to bring several eco-justice overtures to GA and will share more about them in the coming weeks. Please drop by the PEC booth and introduce yourself if you happen to be at General Assembly this year. Thank you for your previous commitment to and continuing support of PEC! Please renew your membership, or join if you are not already a member, on our redesigned membership page by April 22! !